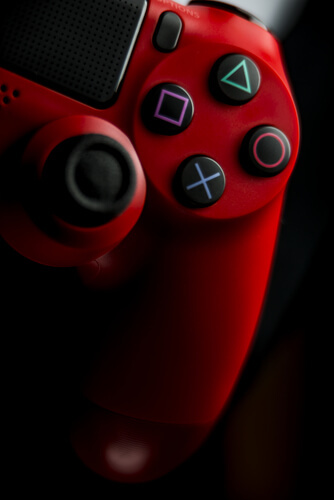 Do you need a gaming console to stream PlayStation Vue content? Short answer is no. Read the review for the long answer. Whenever someone actually makes the decision of cutting the cord for good, the first thing that someone needs is an alternative. An alternative that is good enough to substitute everything that a regular and standard cable subscription offered. And we are here today to let you know of a platform that you can definitely have a look at as your cable subscription package substitute. The thing about cable subscription alternatives is that people not only want the same kind and quantity of content but more. They want more features such as increased mobility along with a possibility to actually customize their online viewing experience. These are just some of the things that PlayStation Vue provides to users as a cable alternative. So what is PlayStation Vue? It is an OTT internet television subscription-based service. And the thing about this over-the-top online service is that it is based in the United States of America. If you are wondering about the owner of then know that it is Sony. Now you know that PlayStation Vue can rely on all the resources and technical expertise that Sony can bring into the equation. Some of you might have already guessed the owner because of the name of this streaming service (PlayStation has more or less become synonymous with Sony). But perhaps what most people do not know is that PlayStation Vue is not a new streaming service. The service came onto the scene around March 2015. It was around that time that more and more online consumers wanted to become cord-cutters and make their lives even more dependent on the internet. Not only that, PlayStation Vue also allows users to save various shows’ recordings directly into the cloud. With that out of the way, let’s move ahead and talk more about what exactly PlayStation Vue actually has to offer to its customers and what you should expect when you finally sign up for the service after cutting the cord. Our research shows that PlayStation view offers users plenty of options when it comes to the number of channels that they can have a look at and hopefully enjoy. We won’t say it has the perfect mix of channels, but we do think that for the vast majority of online consumers, PlayStation Vue offers more than enough. More specifically though, PlayStation Vue offers users a multiple number of channel bundles. Users can pick any one of them at any given time. Of course, a lot will depend on the kind of budget that a given user is working with. If you are willing to part away with more money at the end of each month then PlayStation Vue would offer you more content than others. If not, then you get the same deal as everyone else. In this PlayStation Vue review, we will go through all the packages that it has to offer to users. If you sign up for this package, you actually get to access almost all the popular TV channels that you could ever want to. 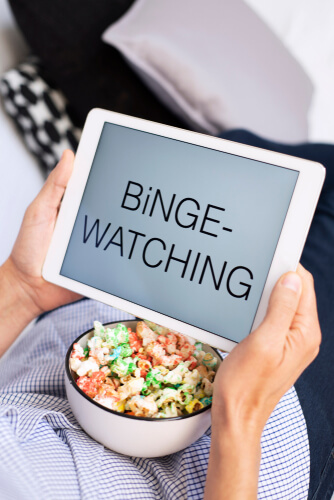 Of course, what you decide to watch on these channels is totally up to you since you can watch all the useless shows or the ones that actually make your life better. Let’s move on to the next package. This package is pretty much the same as the previous package except for an additional list of popular TV stations. Moving on to the third package. This is the package that allows you to watch all the channels that we have mentioned so far. Our research shows that with this package you will never miss a single major sporting event or otherwise. It offers you access to any regular TV channel that you have probably ever seen. However, in addition to that, it also provides access to a ton of movies that you probably have wanted to watch since forever. This is actually the package that we think is the complete one. It provides users with access to anything and everything that PlayStation Vue has the capability to offer to users. Our research shows that currently, with this package, you will get access to over 90 high-quality networks. Moreover, Ultra subscribers will also get to have access to all the channels from the Elite package. In addition to these, they will have access to premium channels such as HBO and Showtime. Our research shows that PlayStation Vue provides customers with decent options to customize their overall experience. We have already mentioned the fact that PlayStation Vue is one of those streaming services that does not restrict the online viewing experience of its users. What we mean to say is that it has a decent amount of room for users to simply customize the deal they get back from PlayStation Vue after they have paid the company the subscription fee by adding some extra channels. Of course, in order to actually stream content from these channels, the user will have to pay an extra sum of money to the service. So let’s talk about the things that you can do in order to further enhance (whatever that means to you) your PlayStation Vue experience. Sports Pack at $10.00 each month. More precisely, this Sports pack is not really compatible with Access, the cheapest PlayStation Vue package. If you sign up for this add-on you can enjoy all the content that FX has to offer without any interruptions. More precisely, you won’t have to watch any ads and you will have access to FX original series along with 1400 episodes and 100 seasons of various other original series from FX. Do take note that with this add-on you will have access to all the latest episodes of all the latest shows that FX offers to users at the same exact time as the channel is broadcasting them live. Of course, you won’t have to waste precious seconds of your life away by watching advertisements. Now, in this add-on, you actually have choices. You can pick either one. All you have to do is spend a few additional bucks per month and you are set to have access to the Hi-Yah channel if your current package does not allow you to have access to it. Epix Hits at $2.99 per month or $3.99 per month. If you are willing to spend a few more bucks per month then you can have access to the Epix Hits channel. This channel offers users a heavy load of various Hollywood hits along with original series, comedy specials, and much more. All you need to sign up for this add-on is access to either Core or Access subscription package. If you have either one, you can add this channel to your list of available channels. If you have subscribed to Ultra or Elite packages then you get access to Epix by default so no need to purchase this one. Espanol pack at just $3.99 per month or $4.99 per month. Again, if you are willing to spend just a few more bucks per month, you can have yourself PlayStation Vue content in Spanish. This is the addon for all the Spanish speakers out there. The Espanol package comes with an extra channel back. The great thing about this add-on is that you can add this one to any given package. Of course, Fox Deportes is already freely available for users who have subscribed to the Ultra and Elite bundles. HBO at $15.00 per month. Some would say that is a bit steep for a single channel. But the single channel in question here is HBO. HBO allows you to have access to all the latest and greatest shows on the planet that people spend hours watching. If there is an HBO original series out there in the market, then you can watch it with this addon. You will have to find a way to pay PlayStation Vue an extra $15.00 per month for the privilege though. Apart from that, subscribers to this add-on also get to enjoy content from the HBO Now application. You will not gain access to HBO Go though. Showtime at $8.99 per month or $10.99 per month. The Showtime package is the new package which allows users to have the option of viewing any content that belongs to ShowTime on the PlayStation Vue platform. Not only that, this add-on also allows users to make use of the Showtime Anytime application. Cinemax at around $15.00 per month. Our research shows that this option provides users with complete access to both West and East feeds of Cinemax. HBO + Cinemax at around $19.99 per month or $21.99 per month. This is also a new package which brings all PlayStation Vue customers access to both Cinemax and HBO at a much reasonable price. As the name of the package suggests, this is the package that you want to sign up for if you want access to both channels at a cheaper price than elsewhere. Fox Soccer Plus at around $12.99 per month or $14.99 per month. This is the package for those of you who want some help in watching soccer and many other international sports from the comforts of their home (or their office if they spend more time there). This package comes with content that includes almost all the famous soccer competitions around the globe such as Bundesliga and the prestigious UEFA Champions League. Our research shows that PlayStation Vue provides users with a good number of handy features. In fact, if you actually invest some time in understanding the features, you may just enjoy your experience a lot better than those who don’t and want to get streaming as quickly as possible. The first feature we want to talk about is Cloud DVR. 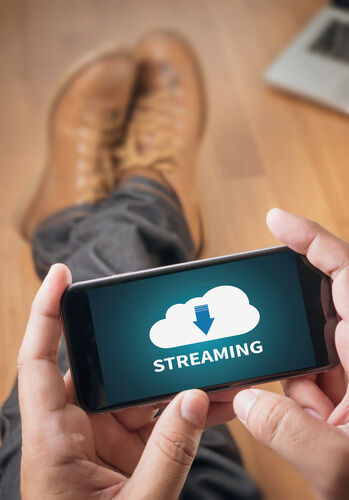 The cloud DVR feature is something that we have seen a lot of other over-the-top streaming services offer as well. As far as PlayStation Vue goes though, we don’t know of a place where you can get the exact number of minutes or hours that Cloud DVR allows you to record per month. However, PlayStation Vue does set some limits. Currently, that limit is close to 500 programs. Moreover, any content that you download via the Cloud DVR feature is only available to you for streaming for a total of 28 days before PlayStation Vue automatically deletes the content and makes room for you without your permission. The good thing here is that with this feature in place, practically speaking, you can record as much content as you need or want. The next feature that we want to talk about here is the simultaneous streams feature where PlayStation Vue enables its users to stream PlayStation Vue content on a total of five different devices all at the same time. Then there is the multi-view feature. With this feature in place, you can actually watch completely different shows on different internet-enabled devices. However, the limit here is that you can only stream up to a total of three different programs on the same screen at the same given time. There is also the Favorites feature. As the name suggests, this feature enables the user to save his/her favorite channels. One the user does that, PlayStation Vue makes those channels easy to find and play content from. In other words, once you favorite your channel you never have to go through the complete collection of channels before coming across the channel that you actually want to watch and possibly learn from. The last feature that we want to talk about as far as this PlayStation Vue review is concerned, is the Channel apps feature. This feature works great for people who already have an official PlayStation Vue account. You can indeed the credentials that you have for the PlayStation Vue account to sign into a ton of other applications on the internet. Our research shows that while PlayStation Vue does not have any streaming issues (pretty much like all the other streaming services) but in the end, the actual streaming quality would largely depend on the internet speed of the user. Though we will add that if you signed up for PlayStation Vue because you wanted to have access to content in 4K then you made the wrong choice. PlayStation Vue does not offer 4K content yet. There is the other problem of channels not offering 4K content for PlayStation Vue to stream it. In fact, our research shows that there is not a single broadcast channel that offers content at 4K quality. Of course, you have the option of streaming content in 720p which is considered HD on many of the channels on offer. As far as internet speeds go, PlayStation Vue recommends to all its customers that they should have access to the internet connection that at least offers them 10 Mbps speed in order to properly stream the available content. Moreover, it also recommends that users should have 5Mbps of internet speed for each desired and extra simultaneous content stream. Which devices does PlayStation Vue support? Our research shows that current PlayStation Vue works with a good range of internet-enabled devices. More specifically though, users will not have to purchase a new PlayStation gaming console in order to view PlayStation Vue content. 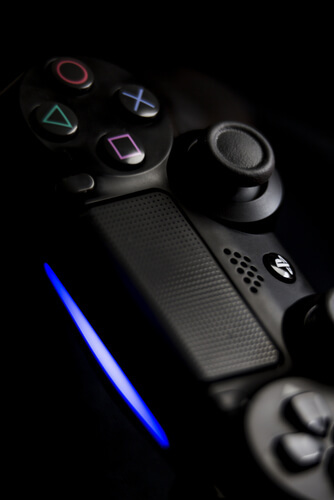 It may come as a surprise to you that a lot of people seem to have this idea that if you want to stream content via PlayStation Vue subscription you need to have access to the company’s gaming console. And we can understand that since the streaming service has ‘PlayStation’ in its name. However, there is no truth to that assertion. PlayStation Vue current works on Android TVs and Amazon Fire TV devices. It also works on Android tablets and smartphone devices. As you can see, you have plenty of options when it comes to streaming content via PlayStation Vue. Most of our readers would find that it is extremely easy to stream content from PlayStation Vue. As mentioned before, the service makes sure that customers are able to use the Favorite function which makes the whole process not only simple but also fast. It also allows them to check channel schedules in their bundle.